A public page has also been set up on Facebook for OTNZ activities and news. OTNZ has been granted a licence to train participants in the Duke of Edinburgh International Award. This is a further important milestone reached by OTNZ. The OTNZ Board is very pleased to announce that they have secured insurance for their instructors. This is a significant milestone and an important consideration for anyone undertaking leadership and providing outdoor education instruction. Heather Grady (the Chair of the inaugural Board) has announced that,"... we are ready to fly!" after months of behind the scenes work and development of the organisation. OTNZ has had Ms Grady striving constantly for many months since the idea was first floated of a Phoenix organisation for former MSC volunteers. The first OTNZ course was held by the Manawatu branch on 26-28 June 2015. The Member Applications process is now open to all to commence member applications. The application process is more comprehensive than members may have experienced with other organisations, but the intention is that as a result there will be far less paper form filling every time a member is involved in an activity. For example, members can keep their own Emergency contacts up-to-date online and that information is then not needed to have the same paper form repeatedly filled out for every activity they take part in. We know that our instructors are practical people who want to get on with the real job of involving people in the experience of how to be safe in the outdoors and spend as little time as possible wasted with continually filling out the same information on paper forms. This lack of paper work at National Office level has already greatly reduced the need for desk bound support staff, and the related overhead costs. We would like to thank the Federated Mountain Club Mountain & Forest Trust Board for their generous grant to kick start Outdoor Training New Zealand. We are grateful for the support which will enable us to undertake the vital initial steps to get the Society off the ground. Without this support there would have been a significant delay in us being able to start delivering. If you would like to help us set up Outdoor Training New Zealand, donations to promotion will be gratefully received. Contact chair [at] outdoortraining [dot] nz. 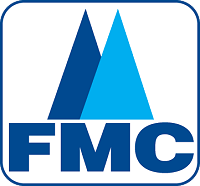 The FMC Mountain & Forest Trust exists to support activities such as research and/or projects related to outdoor recreation, publication of books related to tramping and mountaineering and other activities which support the aims of the FMC. The grant to OTNZ was given under one of the trusts aims: funding instruction courses for Mountain Recreation or for the conservation and good management of Natural Environments. OTNZ (Outdoor training NZ) was incorporated today, 31st March 2015. There have been a number of people concerned that Mountain Safety Council is due to close down its network of instruction volunteers and branches by the end of June 2015. This has led to an intense period of work getting expressions of interest from many interested people. A group of fifteen people have been consulted and spent much time developing a set of Rules for the new non-profit society. A Board has also already been elected to steer the organisation into the future. The Board members are Heather Grady as Board Chair, along with Ray Goldring, Noel Bigwood, Chris Tews and Simon Williamson. Together the Board represents many decades of practical outdoor experience, outdoor organisation direction and management, and outdoor safety publishing. The calibre of the Board is shown by the fact that three of the Board members have been instrumental in revising the content of the "Bible" of New Zealand trampers, the Mountain Safety Council Bushcraft Manual. All the Board members together bring an invaluable wealth of practical knowledge and experience to the Board table. The Board are already working towards bringing OTNZ to a position of being able to provide practical outdoor training as soon as possible in the near future.